Dos Amigos Inc. imports, manufactures, markets, and distributes a compelling portfolio of high-quality, well-known, nostalgic Mexican brands of specialty foods, candies, snacks and beverages. Founded in 1995, Dos Amigos’ philosophy has always been to build brands for the long term by working closely with strategic partners to provide exclusivity and ready access to iconic Mexican product lines, such as CHAPARRITAS, TROPILICIOUS, SIDRAL GALA, TROPICLAM, JAPON, JAPON FUEGO, MOTITAS, REAL VANILLA, VANILLA MAYA. Today, the tradition of bringing nostalgic Mexican products to the U.S. and Canada is combined with modern innovation. Dos Amigos is firmly positioned as an industry leader with a firm focus on the future. Our strategy is to be regarded as the market specialist in every customer channel we service and in each and every product category we operate. Our focus is to build brands for the long term. Our nostalgic brands are available in more than 50,000 store locations throughout the U.S., including retail stores, wholesale stores, club stores, pharmacy stores, mass merchandisers, and discount and dollar stores, that are constantly updated to ensure delivery of the best Mexican brands available. Our products are distributed domestically through retail channels, foodservice distributors, and operations, e.g. restaurants, food stores and distributors, who sell our products to consumers. We treat our customers like family, providing an excellent value, and continually working to bring more authentic Mexican products to parts of the United States and Canada where they are not currently available. 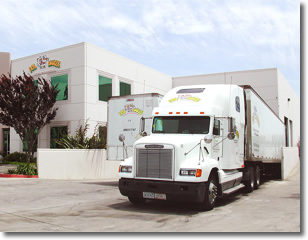 Our distribution centers are located in San Diego, CA, and Laredo, TX, as well as in Tijuana, B.C., and Colombia, N.L. so that we can finalize and ship complete orders on time–giving us a well-earned reputation for reliability. Operating from our headquarters in the heart of multicultural San Diego, we combine tradition with technology, and customer service with progressive corporate business systems.